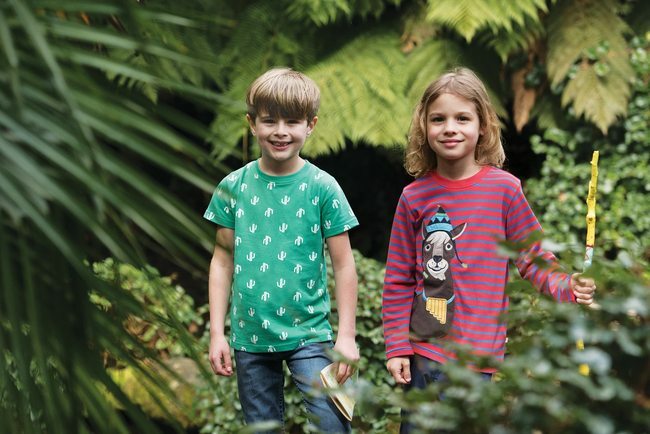 Something I get HEAPS of emails about is where to buy ethical kids clothes. I started putting an ethical kids clothing directory together a couple of years ago, and the task quickly became out of hand for this one woman band. It turns out there are a TON of organic baby clothes companies out there. It quickly became apparent that pretty much every other baby clothes company is organic, and whilst that is great, it soon became a very laborious and torturous task trying to index these rapidly multiplying shops. What I will say is that if you are thinking about going into business making and selling organic babywear then stop right there and consider making older kids clothing instead, where there is a massive gap in the market. That directory is still languishing in my drafts, and rather than try to go back to it, I thought I’d round up some of my favourite places to buy ethical kids clothes. And there are still some organic babywear options below, I just haven’t gone overboard with them. My kids are aged 3 and 7 so we haven’t had to navigate the teenage years yet, but I’ll share as many tips as I can to cover dressing babies, toddlers, kids, and teenagers ethically. eBay is one of my all-time favourites for ethical kids clothing. There’s nothing more ethical than secondhand clothing, so eBay is brilliant if you want to shop ethically but on a tight budget. eBay is also a great place to stock up on clothes for older kids and teenagers too – just make sure you click the used filter at the side. One thing I particularly love eBay for is the fact that parents sell bundles of clothes that their kid has grown out of. Just search, for example, “girls bundle age 3 4” and you can find hundreds and hundreds of bundles of clothing. Here you can pick up practically everything your kid will need in one parcel for very little. If you really want to get the most for your money then my top eBay thrifty trick is to stock up on winter wear in the summertime, when fewer people are searching and bidding on winter wear. And likewise, searching for summer gear in winter is a superb way to grab some great bargains. I’ve also got lots of eBay tips this way. My other favourite place to shop ethically for kids is in charity shops. I’m really lucky to have a Barnados charity shop near me that exclusively sells kids wear and gear. I’ve come out of there with a pile of fantastic clothes for my kids and spent little over £10. 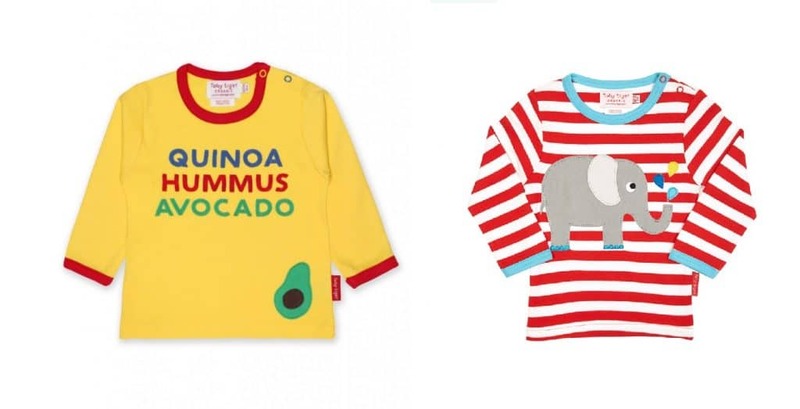 If the charity shops near you don’t cater much for kids then Oxfam Online is a super place to shop for secondhand ethical kids clothes online, in sizes ranging from birth to age 16. Delivery is a flat fee of £3.95, no matter how many items you buy, and they also offer free returns making Oxfam Online a hassle way to shop for ethical kids clothes. 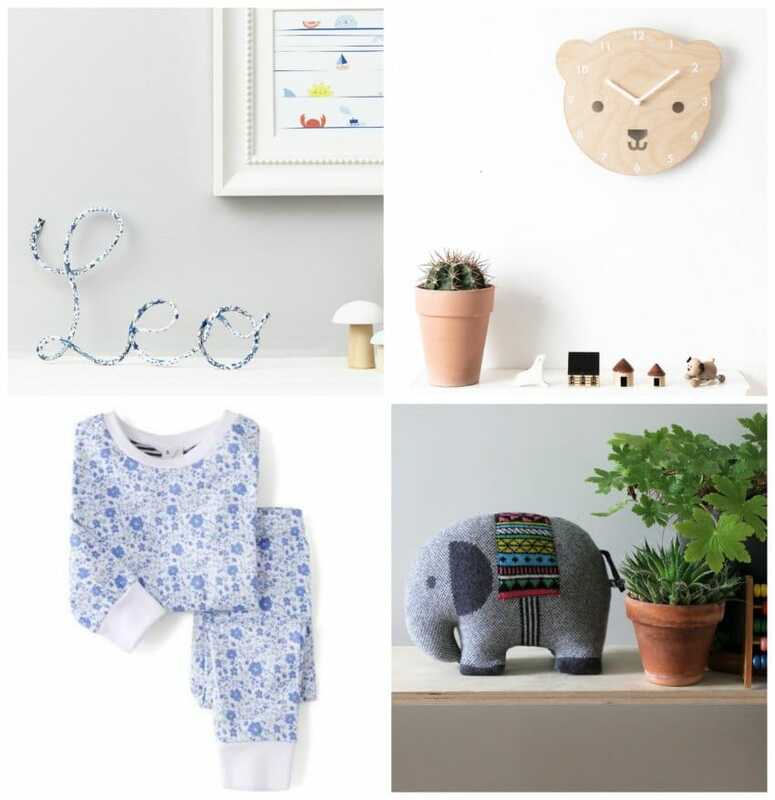 Another fantastic ethical kids option is Treasure House – an online secondhand shop of quality (often designer) kids clothes ranging from ages 0 to 16. Here you can shop their very reasonably priced range of quality secondhand kids wear (no Primark or supermarket clothes here). Alternatively, you can trade in your kid’s old clothes, using their free postage service, to gain credit to shop from their range. What’s more, all new customers can pick any one item for under £15 as their free gift as welcome to Treasure House, no catch – you just have to pay the £3.99 postage costs. 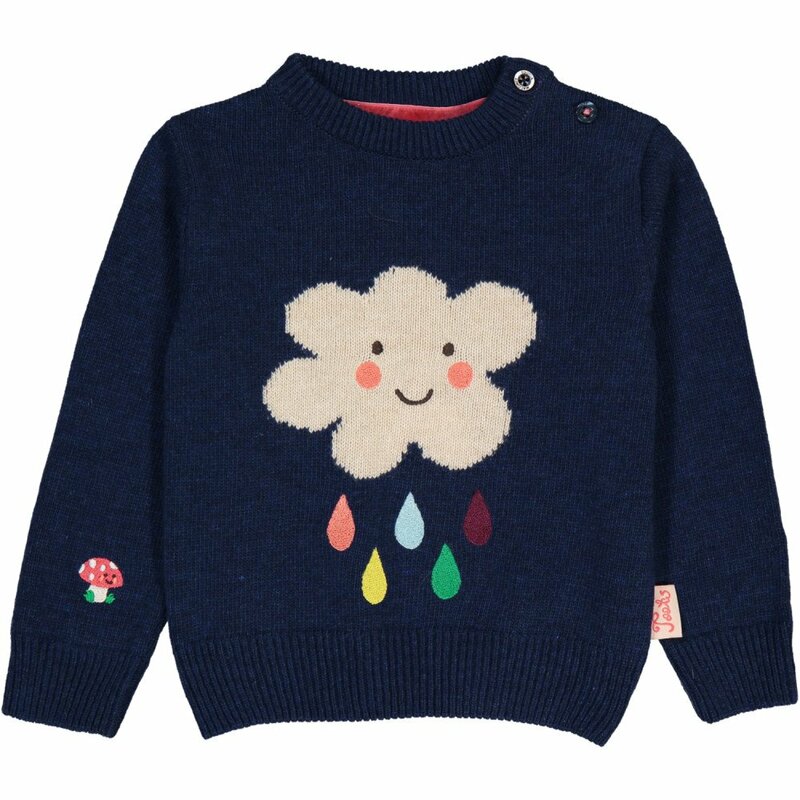 Frugi is a great stop if you are looking to buy some new ethical pieces. Catering for babies and kids up to age 10, Frugi’s bright and colourful clothes are made from organic and ethically sourced cotton. All their outwear is made from recycled plastic bottles, which is great, but you may want to buy a Guppyfriend for washing, as these types of materials do release microfibres when washed. Offering free delivery and an easy returns policy, it’s an easy way to shop from home. Toby Tiger is another ethical kids online shop that’s big on colour. 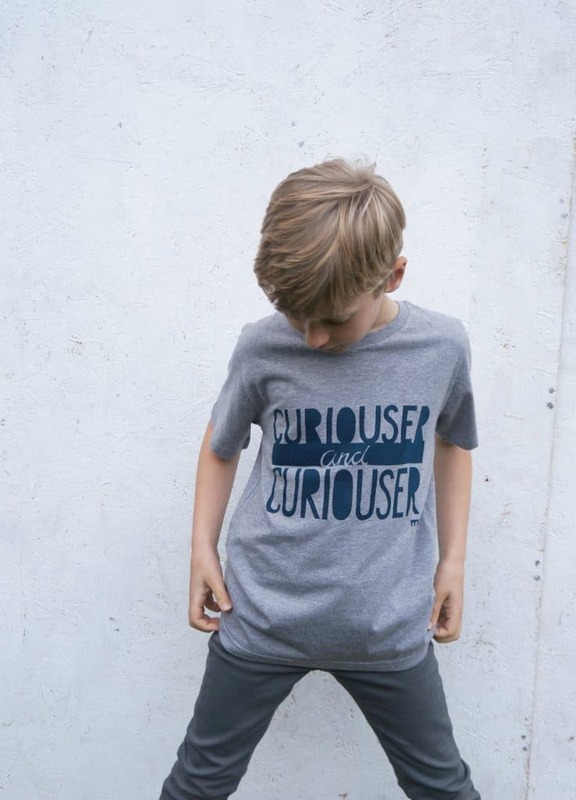 Their ethical and GOTS certified organic cotton kidswear, which I really appreciate not being labelled as for girls or for boys, is for kids aged up to six years old. If you’re looking to shop directly from independent makers then Etsy is the place for you. Here you’ll find great ethical kidswear from makers like Wiltshire based Lost Shapes. Lost Shapes sell colourful kids organic, environmentally friendly and fairly traded t-shirts and jumpers, in sizes up to age 14, and starting from just £8. Finally, Tootsa (formerly known as Tootsa MacGinty) is a wonderful online shop selling ethical and largely unisex knitwear and other kids clothes in baby to age 10. And Tootsa even does a small adult line if you want to twin with your kids…! Years ago I bought two jumpers for my eldest – which have since been handed down to my youngest, and these are still going strong, and still looking like new. If your piece isn’t faring so well, then Tootsa offer a repair service where they’ll do their best to find a solution to keep your favourite Tootsa clothes going for longer. They’ll send you buttons, trims, patches and cover the cost of replacing a zipper if needs be. Failing all of that, you can send your old Tootsa clothes back to then in exchange for a discount off your next order. Tootsa do fantastic sales, periodically (right now there’s 70% off until the end of today). It’s a good idea to sign up to their mailing list or follow on social media to keep updated. 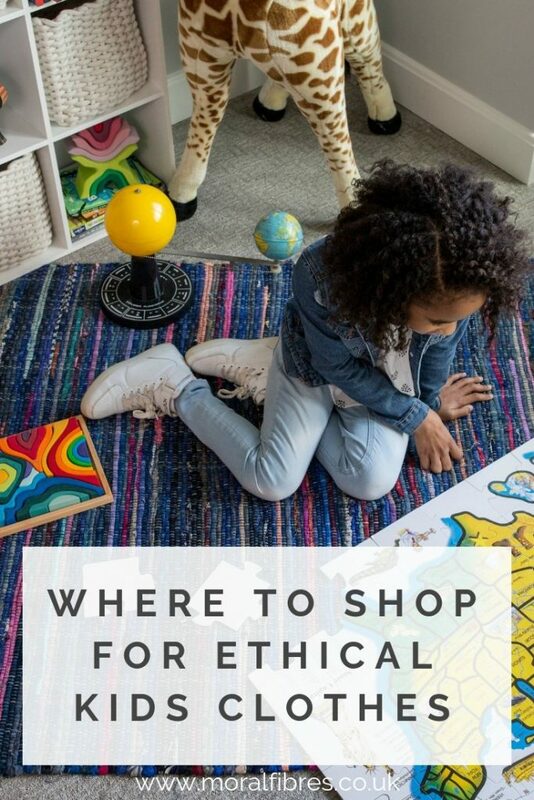 I hope this is helpful in your search for places to buy ethical kids clothes! Have I missed any of your favourites? 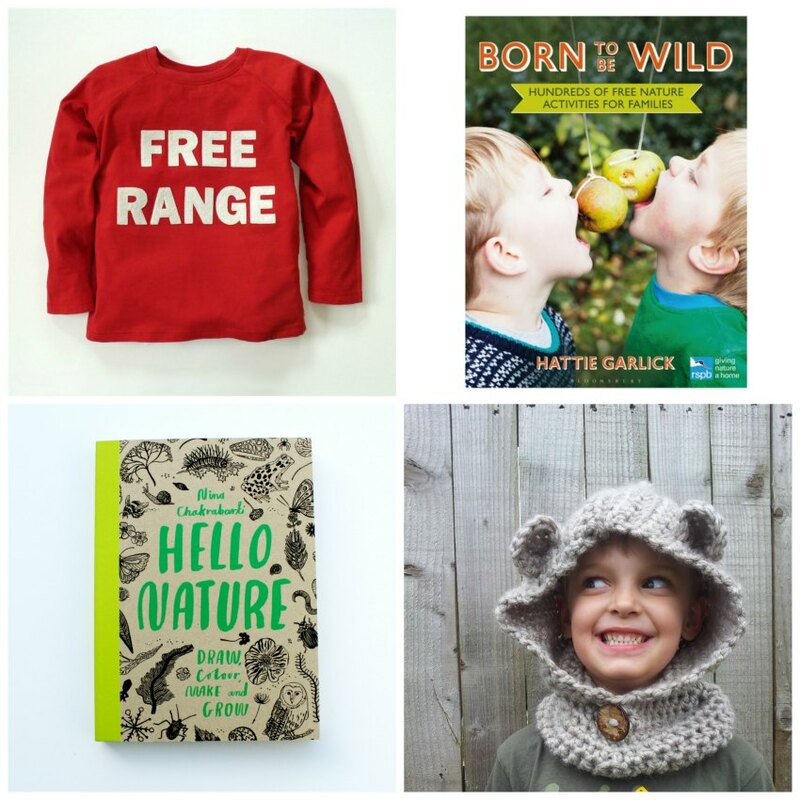 For the last of my ethical gift guides, I’ve rounded up some lovely little ethical gift ideas for children. As per the last two guides, all gifts are budget friendly (there’s nothing in this guide over £35) and all come from smaller independent shops and makers. Liberty Fabric Wire Name Sign (£14). The cutest little handmade sign. I’ve bought one for my daughter’s 1st birthday (and yes, that has come around really quickly… Too quickly.). Buster The Bear Clock (£25). A sweet addition to any kids bedroom. Sleepy Doe Pyjamas (£28). The sweetest pyjamas, designed and made in the UK, free from harmful dyes and made from ecological cotton. A unisex design is also available. 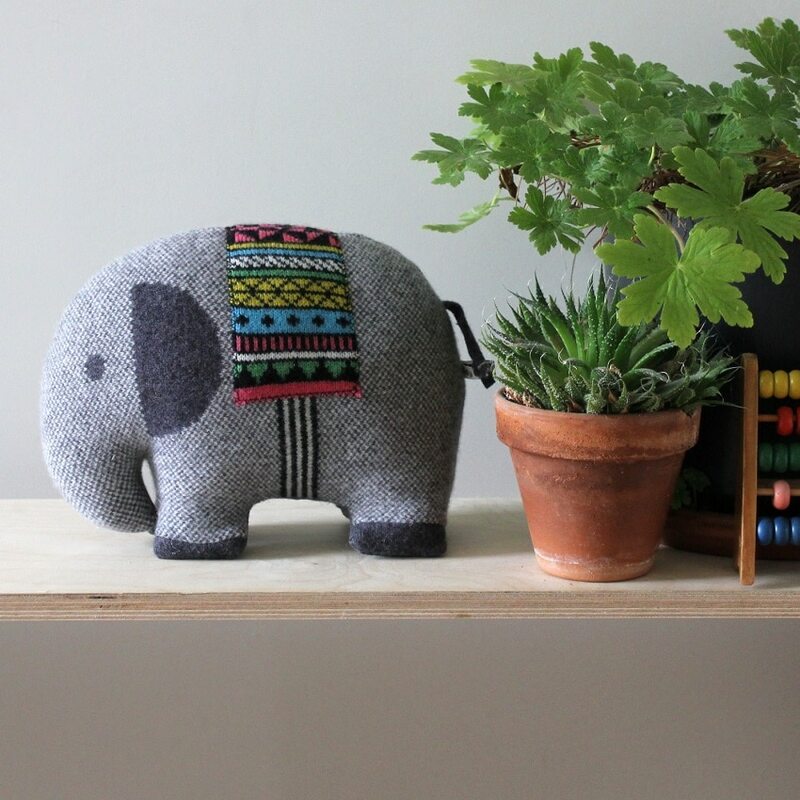 Lambswool Elephant (£32). Soft and cuddly, and sure to be a firm favourite for years to come. Free Range Top (£19.04). Unisex, fun and bright, available in sizes 3 months to 5 years. Born To Be Wild (£12.74). Hundreds of free nature activities for families, from the ever fabulous Hattie Garlick. Hello Nature (£9.48). Get kids interested in nature with this fun and beautiful colouring and activity book. Bear Snood (£15), for keeping little cubs cosy this winter.